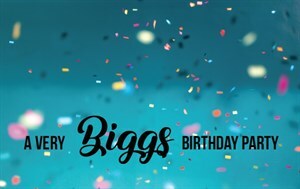 Help the Biggs close its 25th Anniversary year happening alongside the First State Heritage Park’s annual 18th Century Market Fair on The Green, includes more fun for the whole family. Come add a few birds to our forest in the museum’s sculpture entry to commemorate the current grand exhibition, Audubon, Then and Now. Browse artworks by Biggs artist members, Delaware By Hand artists for purchase in front of the museum. And what’s a birthday party without cake? Visitors will enjoy mini cupcakes in Child HELP Foundation Gallery to help celebrate a quarter century of sharing art with Delaware. Admission to the whole museum and our special family-friendly projects is free.